Thanks to a sponsor, we are able to double our accommodation in Ny-Ålesund for the benefit of research into climate change. The arctic is one of the best places in the world to see the effects of global warming on nature and people. The arctic climate impact assessment has shown this and the international polar year has been an opportunity to stimulate research and public awareness. 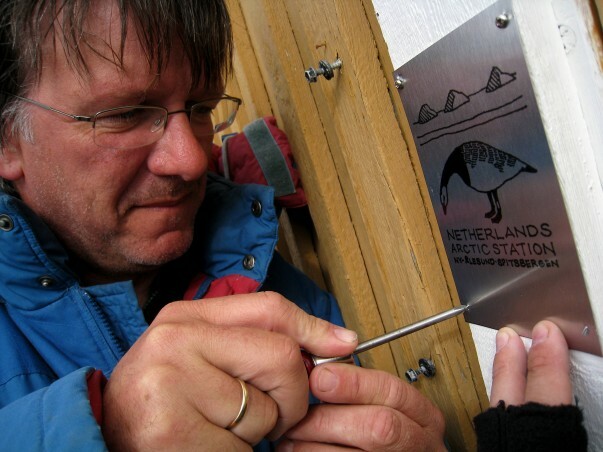 The station is more and more becoming the home for several institutions from the Netherlands to do arctic research. 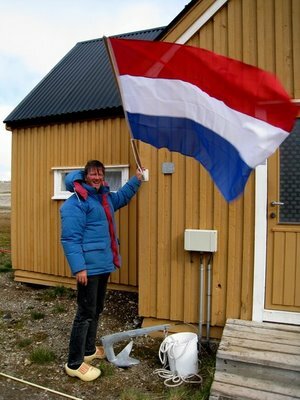 Scientists from the Netherlands can stay in the hut and benefit from all international polar research which makes this place to a lively research centre. We know have room to welcome more scientists. 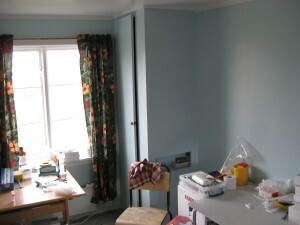 Living conditions are modest but stimulating. You can contact Maarten Loonen to join. These are the rooms in the new hut. 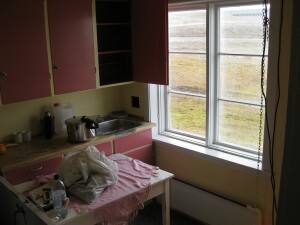 On the top row from left to right: the living room, the kitchen (which is now used as a barn for the goslings) and the laboratory. On the left the western sleeping room upstairs. 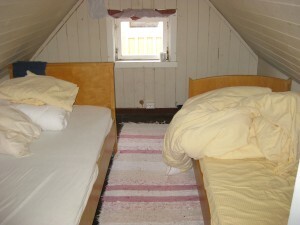 On the right the eastern sleeping room. 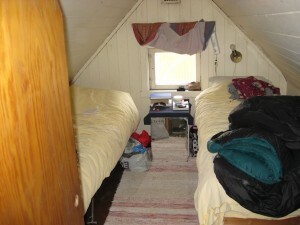 There is room for 5 people in the hut and some storage space. Time to celebrate. 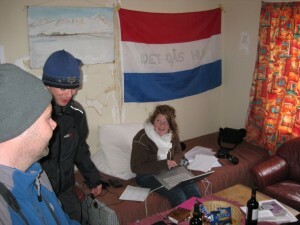 Janwillem brought an extra flag.